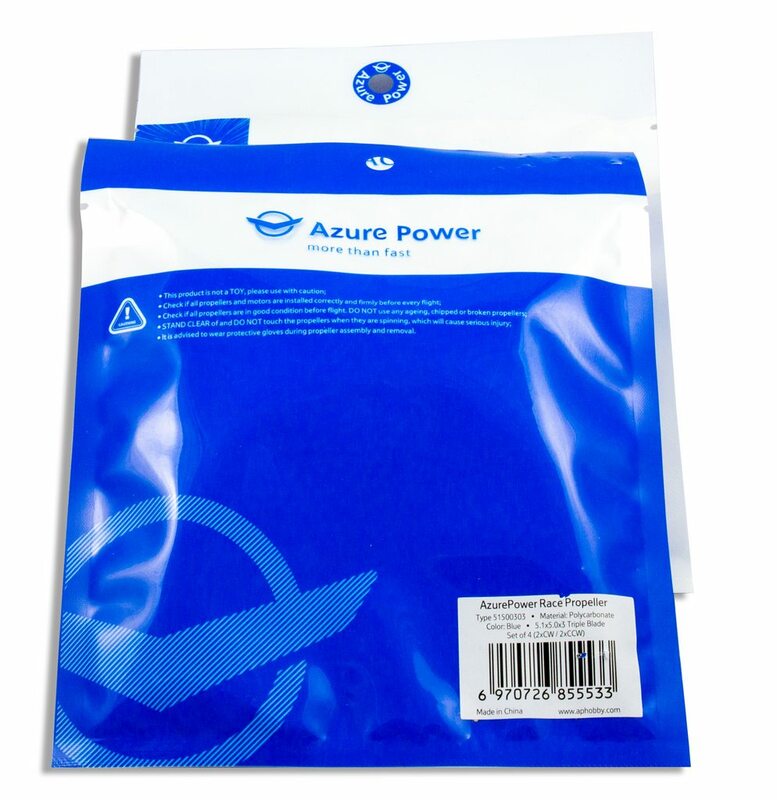 Azure Power were kind enough to get in touch about their new 5" and 3" racing propellers they've just finished up designing. I got to try some of the very early prototypes out in Woodward for DRL that Dunkan Bossion got shipped out to him and they felt really nice, so I was keen to try the production versions once they were ready. For those that don't know me, I've been sponsored by HQProp for just over 3 years now but I try and test every propeller in the market that seems good for racing, because there's always the possibility that there's some new airfoil design out there which blows everything else out the water. And in the racing game, it's all about trying to keep up with the technology as well as the pilots. 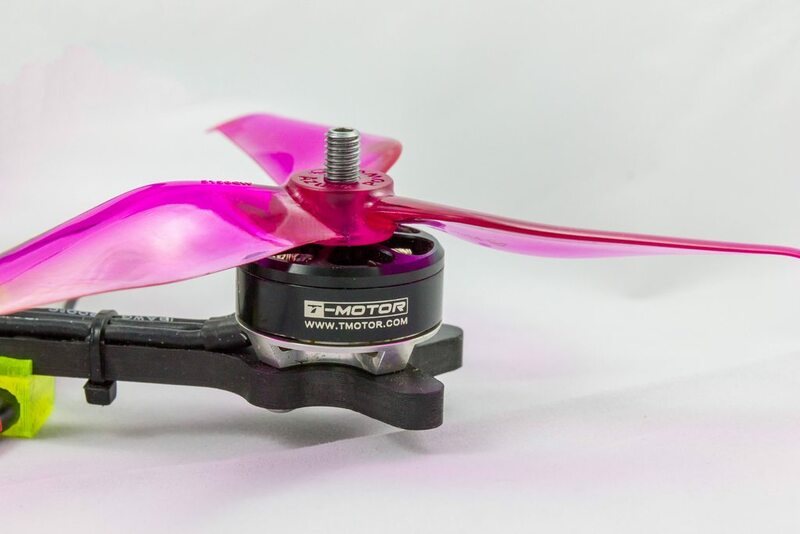 As I'll be mentioning below, right now I'll be focusing on the 5 inch propeller because technology has moved on so much (20mm stacks, nano rx/vtx's, new smaller motors) so that my 3" racing rigs that I flew last year are not particularly competitive and/or suited (in my opinion) to review the propeller. Back to the prop - Azure Power have been in the prop scene for a little while now, and debuted their first range of props to everyone last year. Everyone was pretty amazed with the shape and profile of the propeller and really brought something new to the table. Some liked them, some hated them, but they've been back to the drawing board and came up with a relevant size and pitch propeller for todays' racing standards. 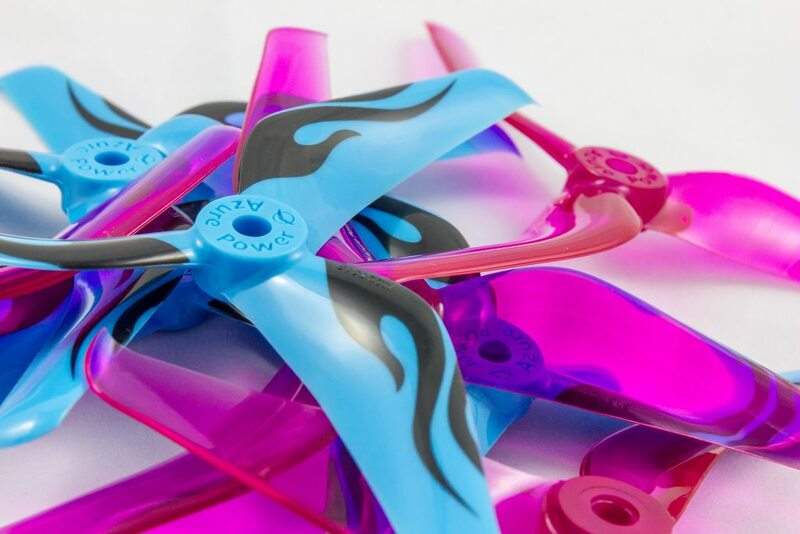 The packaging matches that of other high standard propellers with some neat printing on front and rear. You'll also notice in the photo there's the 3 inch propellers I spoke about earlier - they're 3x6x3 propellers that take the same familiar shape as the big brothers. Inside the packaging we have just the propellers, there's no shaft rings for different size shaft fitments - nobody really ever used these in the mini quad scene so it was largely just a waste of plasting and manufacturing, so I'm glad to see they haven't bothered with it here. 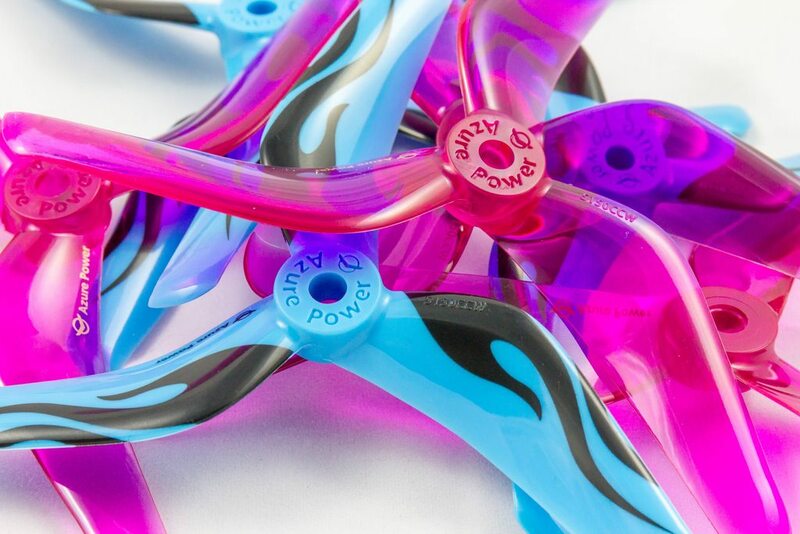 As you can see we've got moulded text on the hubs, as well as printed text on the transparent colours, with the signature crazy flame design available on the solid coloured props. 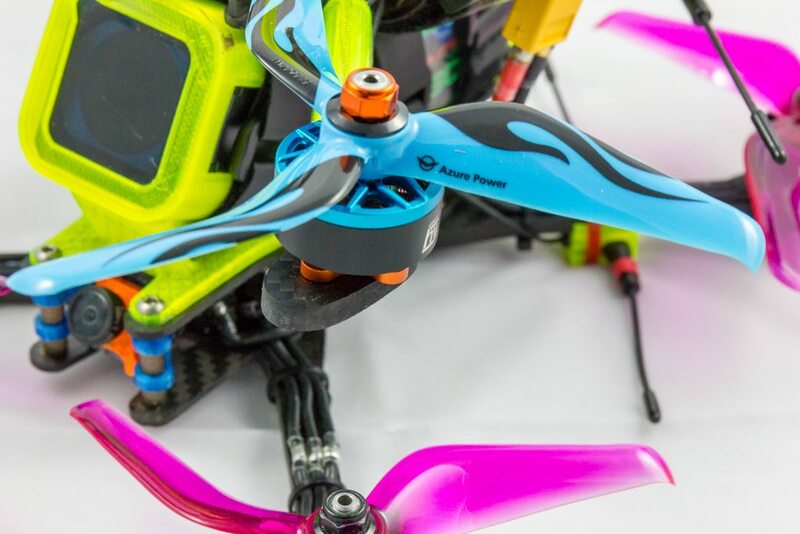 I actually really like this, it allows you to match up your propellers with your quads colour scheme (most have one), and really fully brand your quad as your own. The next step is to obviously fit them onto the quads, I have to say I've not seen a propeller that fits so well on multiple motor shafts. That sounds weird I'm sure, but there's no play, but it's not extremely tight either, it just fits as I'd kind of expect it to. 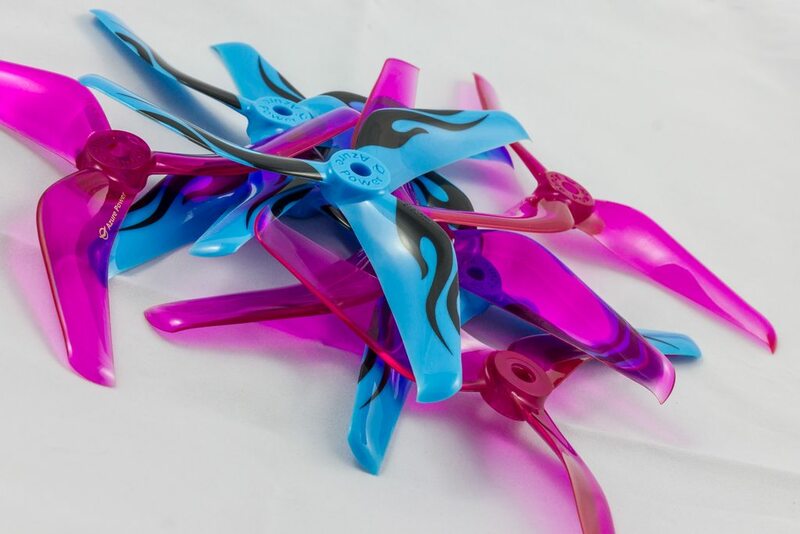 Naturally I wanted to test them on a freestyle quad, even though they're debuted as a racing propeller. 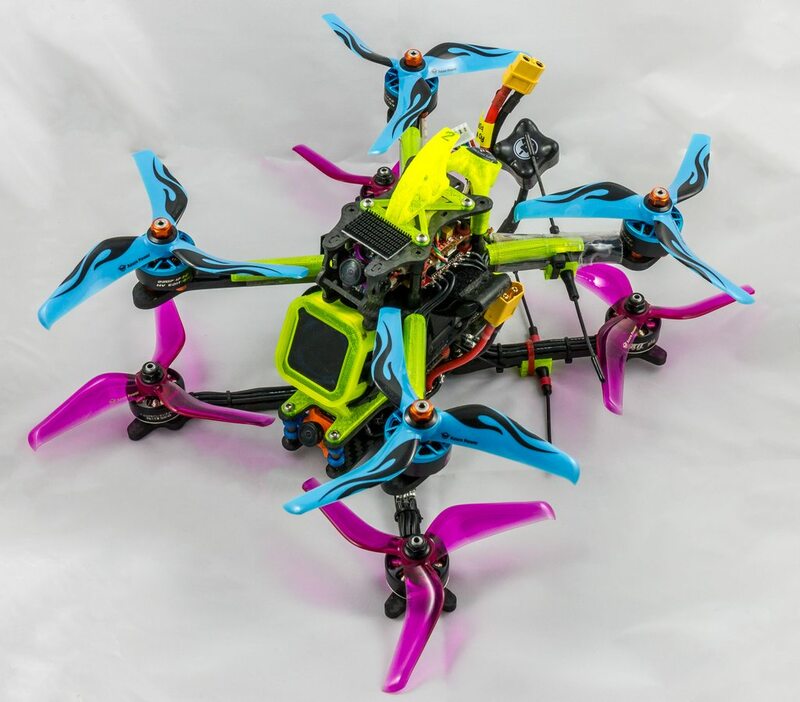 This also allows me to do testing on both 4s and 6s, as my Freestyle quads are still on 4s, where as my racing quads are now on 6s to keep up with the rest of the pilots. A quick shot of both of the quads, ready to rip! Here's some mixed Racing and Freestyle footage, I've had the propellers for a couple of weeks now, and gone through around 8 bags of them, testing as much as I can! 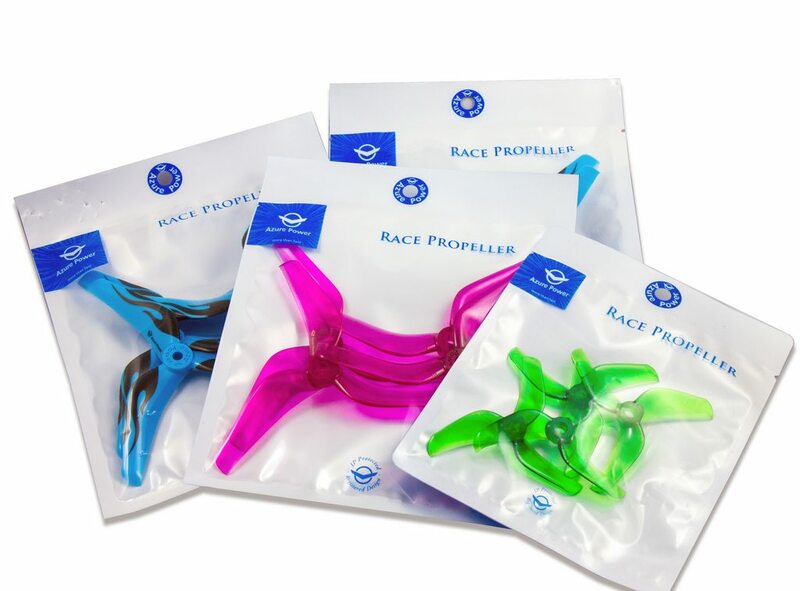 Super smooth feel - whether you're racing or freestyling they feel 'nice' to fly. I often think this is a very subjective thing, but if I was to describe how they feel, it reminds me of the Cyclone/Buttercutter style propeller. 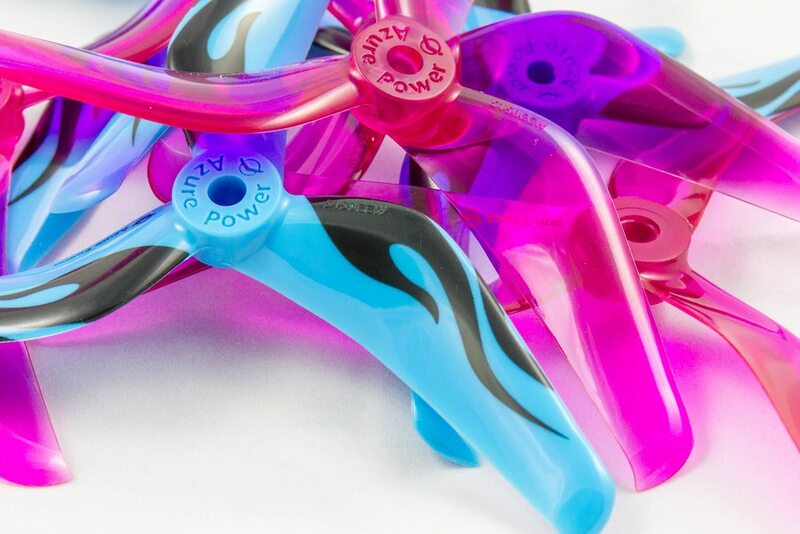 Huge power & Torque - considering the whacky shape, I don't see any noticable extra amp draw over any other high pitch propeller, but I feel like these do definitely have a higher top end speed. Pricing - the props are pricely very competitively, coming in at a price well under some of the competitor props available. If you're buying 10 or 20+ sets at a time, this is a big factor. High quality moulding - just the fitment on the motors alone was great, but the overall feel and quality of the propellers looks great. To me, this also means they're likely very good moulds which means they should be pretty well balanced out of the box. Prop damage - the one thing I didn't like with the propellers is when you crash and bend them, I found it near impossible to bend them back to a usable format. They still fly fine thanks to awesome firmware we run nowadays, but they sound awful. I imagine it was also drawing way more amps when bent. This is less of an issue due to them being priced so low, but it's all something to take into consideration. 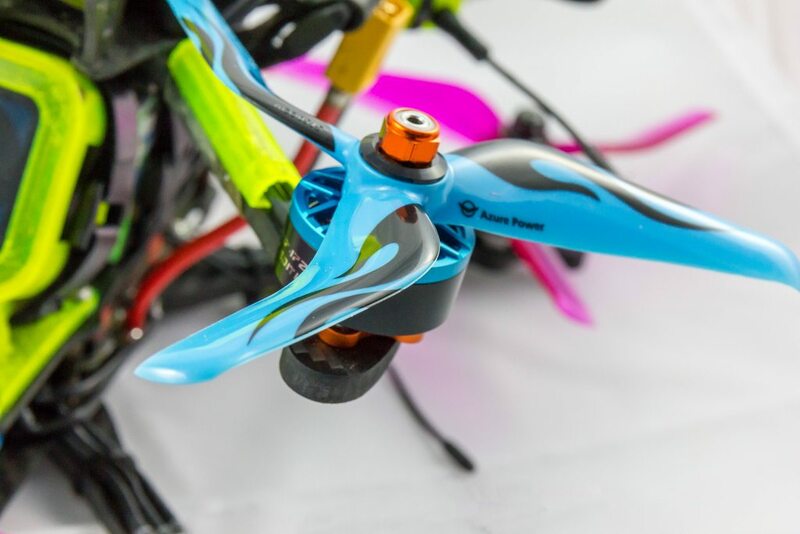 Overall I really like how the props feel - they're great in the air and they suit my throttle curve during racing. They also seem have tons of top end speed while managing to stay efficient despite being 5.1" as opposed to 5.0". 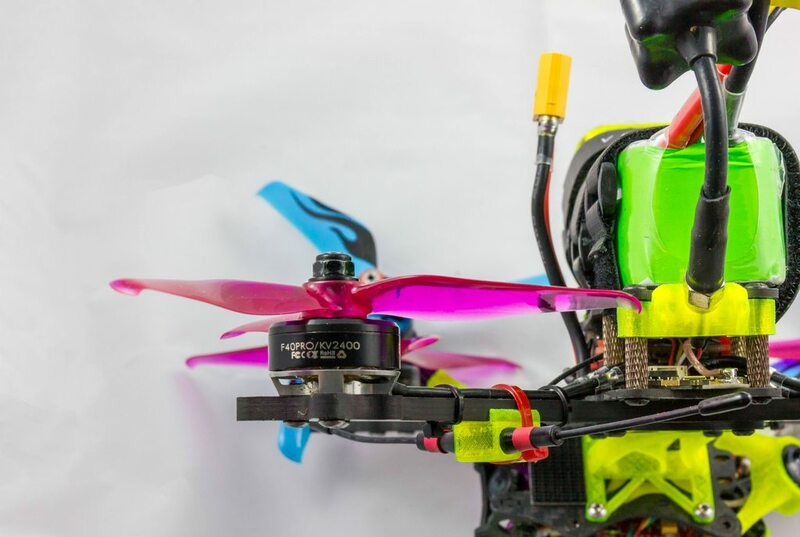 For me, they fly very much like some of the other popular racing props right now, but I think they handle descents and prop wash a little better. 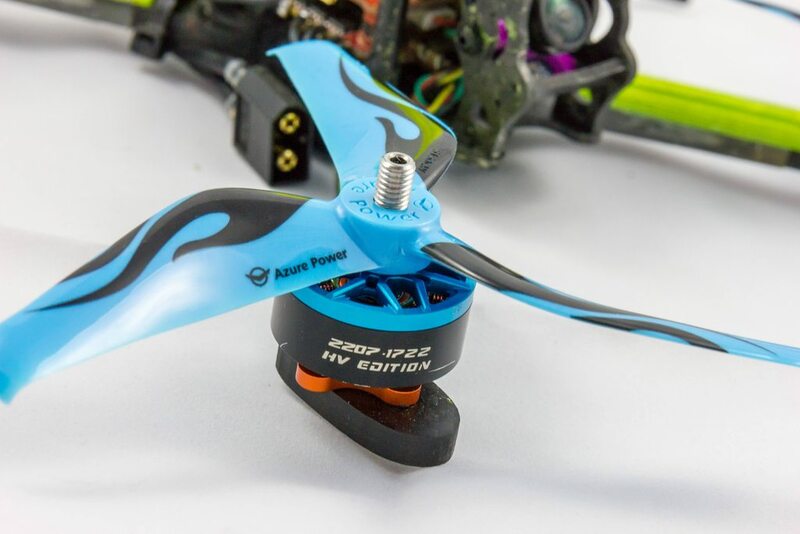 I think Azure have came up with a great propeller for racing or freestyle, and I hope to see more propellers from them in the future.